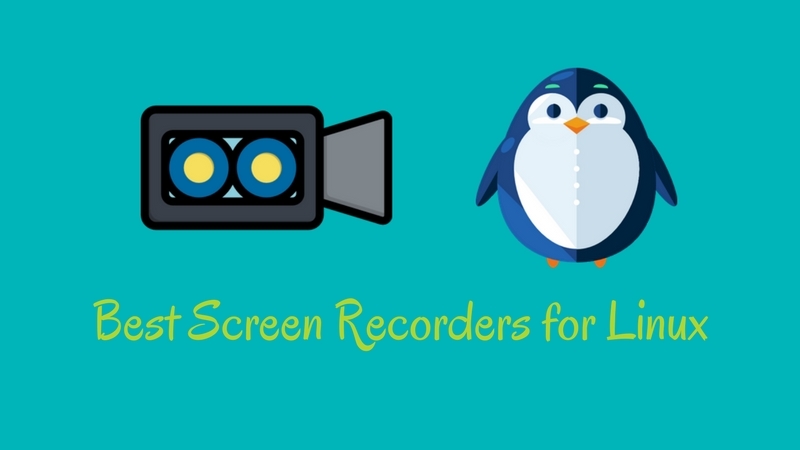 Brief: In this article, we list you the best screen recorders for Linux. This list also includes software that let you record your Linux desktop as a gif. Often we need to record our desktop screen for various purposes, like broadcasting gaming session online, making video tutorials etc. Today, we are going to present screen recording applications for Linux. All the softwares mentioned here are free and open source (FOSS). You can call it a list of free screen recorder actually. Before we see the list of best screen recorders, I would like to mention asciinema. It’s a desktop tool that lets you record your terminal session and uploads to its website. You can grab the URL and send it to friends. Best thing is that the commands in the recorded terminal session can be copied. That helps a lot if you used plenty of commands, no need of manual entering those commands. For clarification, these applications are not listed in any specific order and the features mentioned here are not all-inclusive. The features mentioned are compiled either from their respective official websites or from my personal experience using them. Also, I have mentioned installation instructions for Ubuntu but this doesn’t make it a list of Ubuntu screen recorders. Most of the applications mentioned are available in the official repository of other distributions. 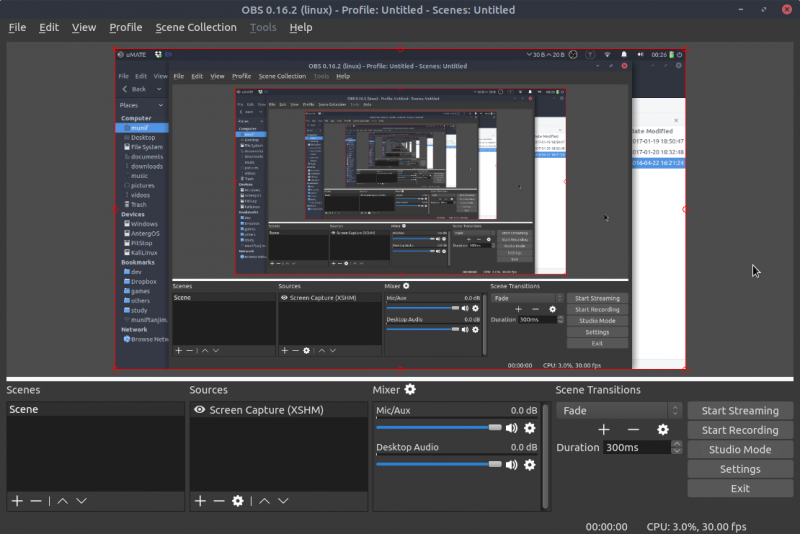 OBS Studio is, without doubt, the most feature-rich and advanced screencasting application available for Linux. 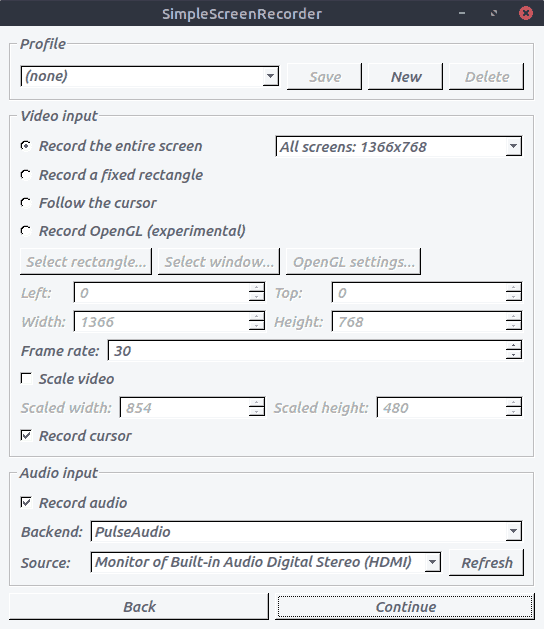 SimpleScreenRecorder — as the name implies — is a simple application for screen recording on Linux. Its interface is Qt-based. You can read this tutorial to find out how to use SimpleScreenRecorder in Ubuntu. 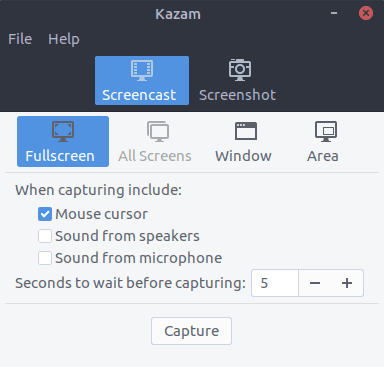 recordMyDesktop is mainly a command-line tool for screen recording written in C. It has two separate graphical user interface based on GTK and QT4. VokoScreen is an easy to use screencast creator. 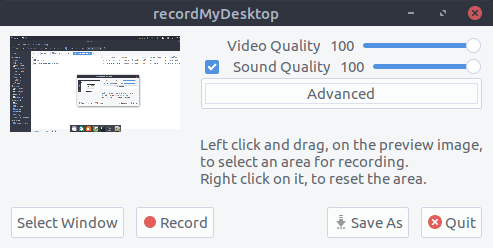 This simplicity could earn it the label of one of the best desktop recorders for Linux, in my opinion. 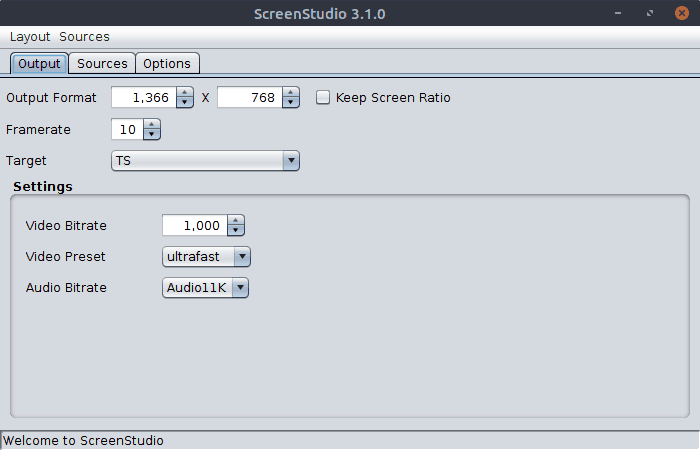 ScreenStudio is a cross-platform screen recording application written in Java. Stream support for various services like – Hitbox, Twitch.tv etc. Green Recorder has a simple interface and is easy to use. It was one of the earliest screen recording tools in Linux to provide support for Wayland. 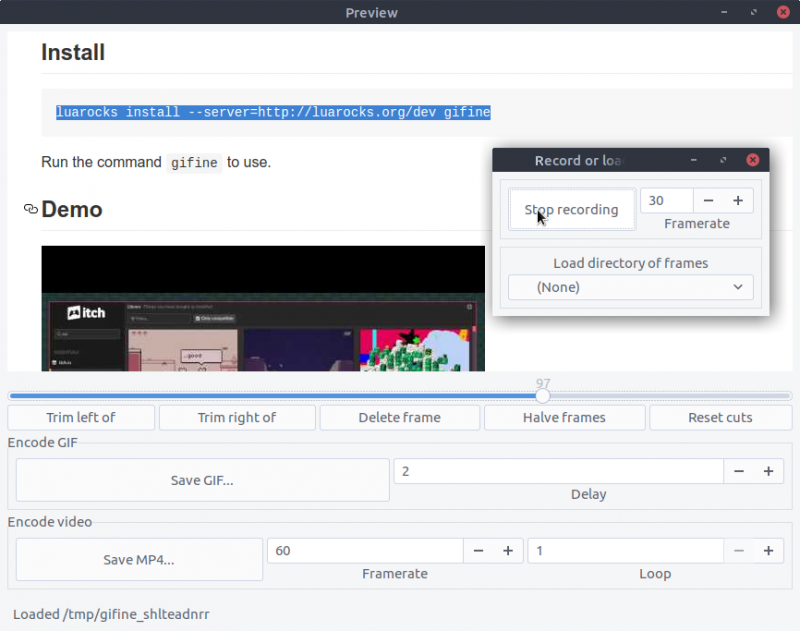 It is built using GTK3 and like most of the other screen recorders here, it uses FFmpeg in the background. While using Wayland, this would be perhaps the best choice for an Ubuntu screen recorder. 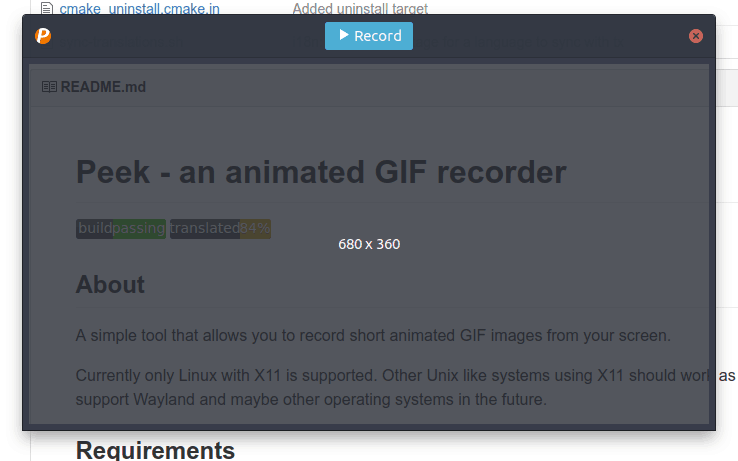 Peek is a simple tool for recording animated gif from your desktop screen. Gifine is a tool for recording and stitching together short gifs or videos. Supports both GIF and MP4 video output. Awesome article. Exactly what I needed! does anyone know any screen recorder able to cut a record depending on file size or time?